Ideal location within walking distance of Bala town. Drying of wet clothes or storing canoes, bikes etc. Do a bit of fishing, or maybe something a little more wild! 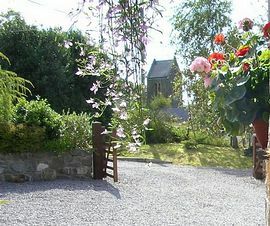 Cysgod y Coed Bed and Breakfast is situated in the sleepy village of Llanfor, just a 1ten minute walk from the bustling town of Bala, in the Snowdonia National Park, North Wales. Set in an ideal location for a peaceful break, for touring, or an abundance of sporting activities. We are within walking distance of Bala town and all its amenities. A full breakfast made with local produce can be tailored to your choice. Car parking is on level ground with one step into the house. 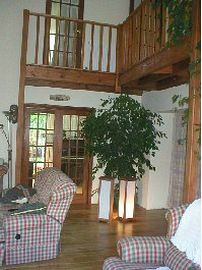 Access to dining room, lounge and conservatory are all on ground floor; a flight of stairs gives access to both bedrooms. Access to the garden can be directly from the front entrance, down one step, or through the dining room and conservatory, via the decking; one step down takes you to the garden, which is all on level ground. Please call me if you have any special requirements, large print information, information on CD etc. ; explain your needs and I will try to help. 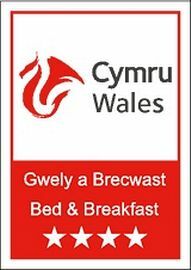 £35.00 per person per night. See our own web site for special offers. Special Diets Provision: Special diets are catered for. Just ask. 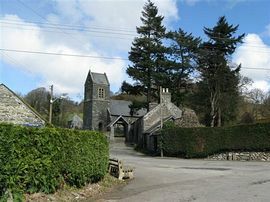 Llanfor is situated just one mile out of the town of Bala. Turn right into the Village of Llanfor. Follow the road for 100 yards around past the church on your right. 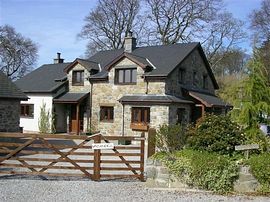 Cysgod y Coed is the stone-built house on your left hand side.